Robust, industrial and comfortable. 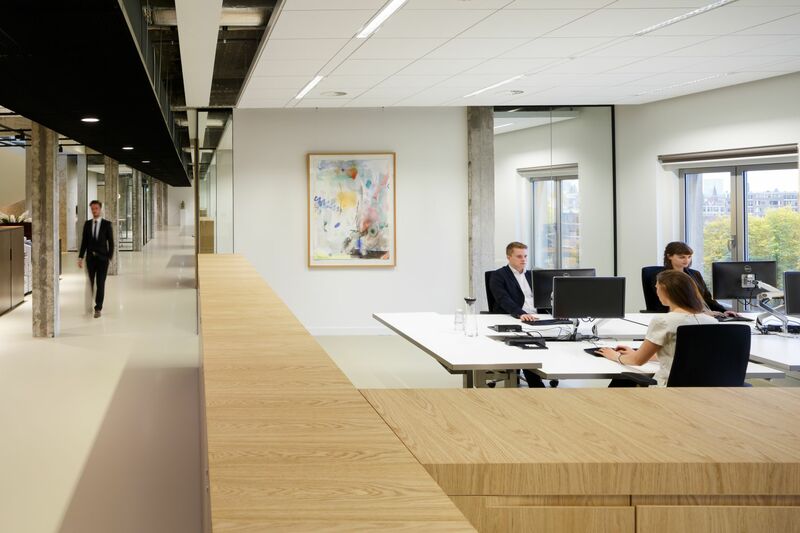 Those were the keywords in the design for the new office of OC&C Strategy Consultants, a Rotterdam based consulting firm. Located directly next to the river ‘de Maas’, the building offers spectacular views towards to the waterfront and the iconic Erasmus bridge. 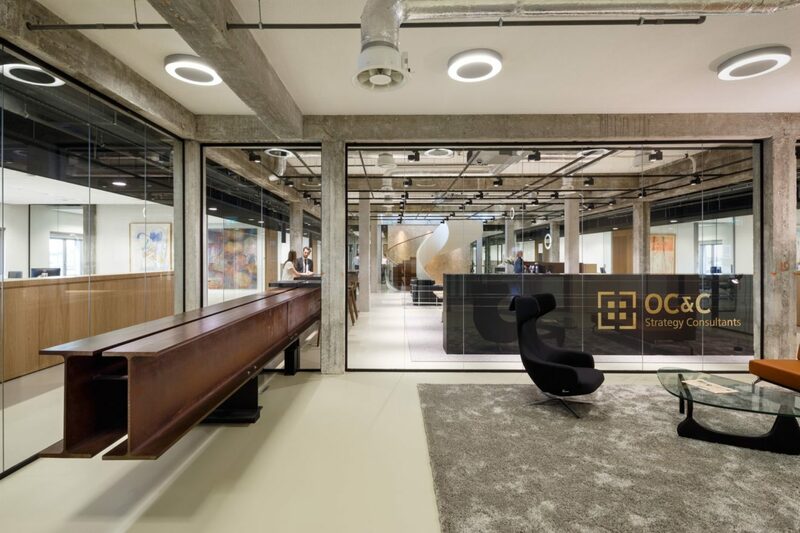 In the design rough concrete columns and rafters are contrasted with a crisp high-end finish which transformed the top floors of the neglected ‘Dutch Bank’ building – a listed monument – into the pleasant new offices for OC&C strategy Consultants. 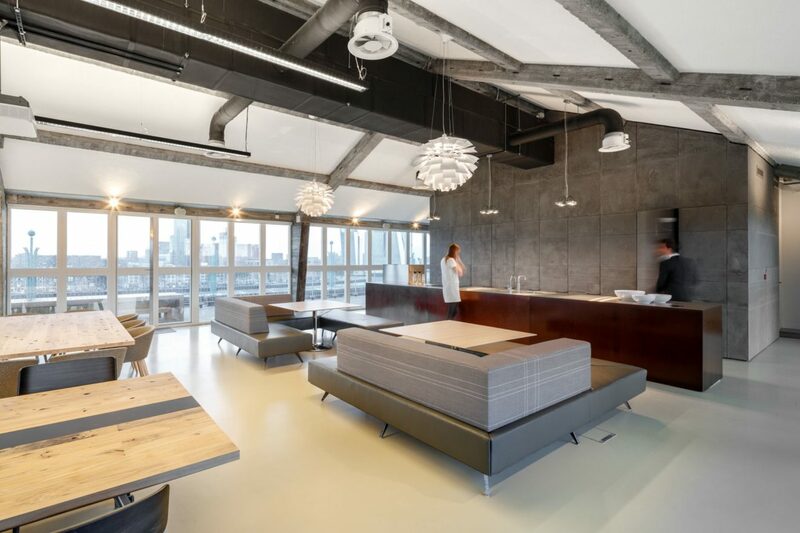 The rugged Rotterdam harbor atmosphere and reuse run like a common thread through the design. 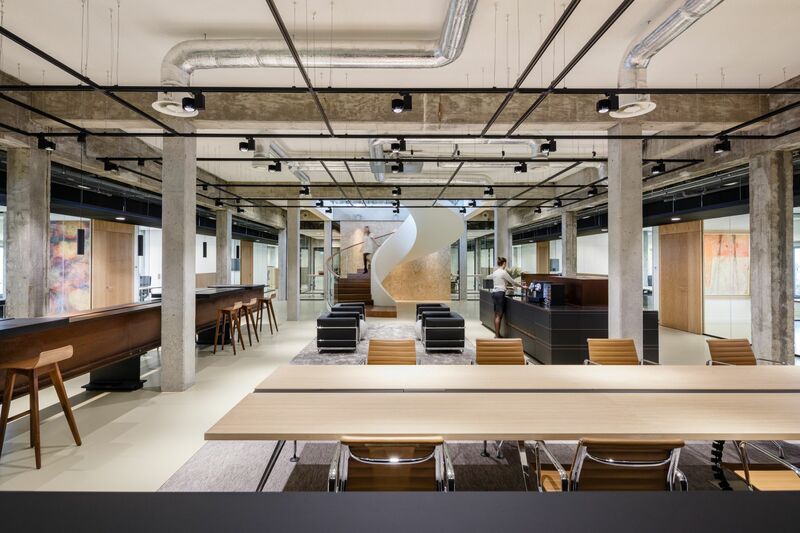 A counter made from reclaimed HEA600-beam beams from Dutch bridges extends from the open office lounge towards the entrance; and the tabletops on the upper floor are made from reclaimed timber, once used for coal transport. The spatial structure of the building is emphasized with use of uninterrupted, long sight lines. With keeping the lay-out of the space strictly symmetrical and allowing no elements to be out of line, the interior exudes a classical tranquility. Because of this stern orderliness the exceptions such as the spiral staircase – with a 6 meter diameter – stand out. Contrasts are made with strategically placed black elements and oak wooden cupboards. 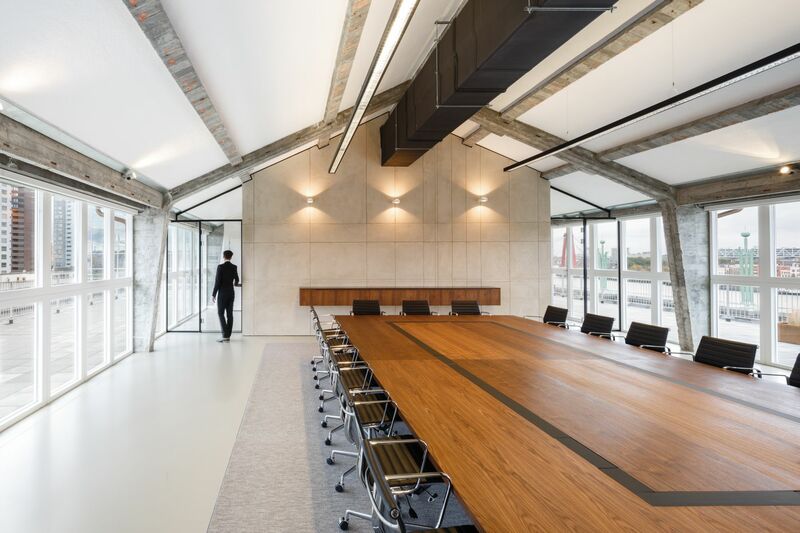 The use of raw, pure and honest materials, simple line rhythms and special detailing on different scale levels reflect the attention to the history of the building (Timo Zwiers 1955) and its site without having an over-designed feel. Due to the neutral colourscheme of the interior design the art collection of OC&C stands out as in a gallery-like setting.